Call Technical Support Immediately at +1-844-592-9882. 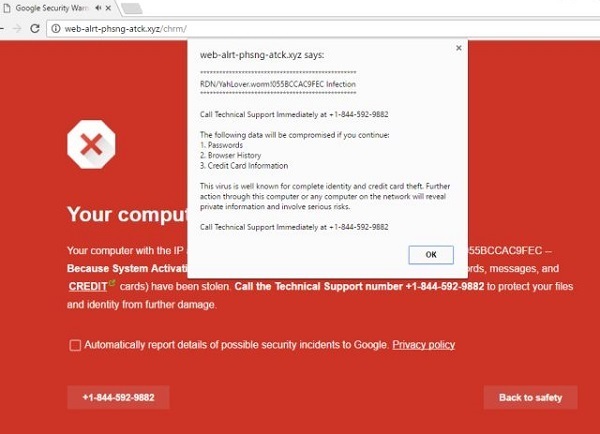 The URL of the fake alert might be: "http://web-alrt-phsng-atck.xys/chrm". If you see this type of fake alert, just power off and restart your computer. Scan it with Windows Defender to remove any malicious items. Do not call the given phone number.